With an emotional story, gritty, yet beautiful graphics and one of the smartest combat A.I.’s around, “The Last of Us” is undoubtedly a game of the year candidate and a thinker-why can’t more games be this beautiful, this smart? That’s not to say Fallout didn’t change the way people think about games. Epic is scale, options and possessing an amazing story, Fallout 3 especially changed the way people thought about adventure RPGs and games in post-apocalyptic settings. Even though New Vegas didn’t stretch the formula, it was still an excellent game that ate over 100 hours of your life. How many games can do that? Hell, Cloud and Aeris never had to worry about Clickers. With the game’s setting and gameplay similarities to Fallout apparent, Now ask yourself this: in all the trials and tribulations in the Fallout series, have you ever truly feared the death of your characters? Also, have you ever felt like your opponents could inflict damage on you if you were smart? Unless one gets out of control, and decides to shoot a boatload of innocent people, it’s very easy to stay alive the Fallout games, in spite of all of the enemies, obstacles and drama. While the long, tenuous journey is much more epic than “The Last of Us,” the at times buggy gameplay and nearly-retarded A.I. hamper the otherwise remarkable experience that is Fallout. 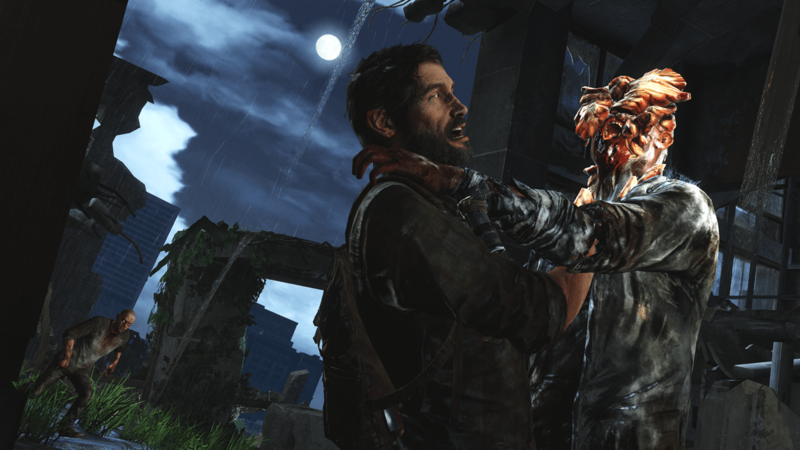 “The Last of Us,” on the other hand, possesses a more thinking-man’s beauty. Behind the coming of age story and grim setting is a beautiful game with much more polish than Fallout. And while the replayability and customization isn’t in the same league as Fallout, the story itself will touch you in ways the Brotherhood of Steel never could. Add in some thrilling combat and you have a game that almost forces you to play it. While “The Last of Us” was never meant to be compared to the Fallout series, Bethesda should take notice- nothing is stopping Naughty Dog from making their own epic one day. The work and polish in “The Last of Us” proves this company is capable of much more.